Whenever I write about D'Banj, some peeps are very quick to take a swipe at me, alleging that Don Jazzy must have paid me to rubbish D'Banj. Most times, I laugh when I hear or read about this because I know deep down of me, nothing of such ever happened. I just do my job as a journalist or a write when I need to do. The exit of D'Banj, which brought about the death of Mo'Hits was controversial. To say Don Jazzy did not gain public sympathy at that time would mean telling an obvious lie. A lot of people faulted D'Banj, especially when the Don himself, Don Jazzy released a statement on the issue, which was maturely written. Months after, many still blame the 'Kokomaster' for the break-up because as at the time Mo'Hits crumbled, it was becoming one of the biggest labels in Nigeria, if not in Africa as a whole. To say it was not surprising that a loyal artiste to Don Jazzy, Wande Coal, left him bitterly is saying a lie that might not be forgiven. Some days ago, when I got a hint of this trouble, I called Wande Coal's manager, who I have not met before, to confirm my story, but his rude manners pissed me off as he behaved childish, just as the way he truly his. He even hanged off the phone on me, that's to show how stup*d some artiste managers can be when journalists call them to confirm a story from them. Well, that's an issue for another day. Wait a minute, what was Don Jazzy thinking when he resorted to twitter to settle a score he had with his 'younger brother', who he could have privately called? Was he thinking the public will have another sympathy for him just like the D'Banj saga? Come on, group up bro. Truly, to whom a brain is given, a common sense is expected. Well, like one of my Ghanaian English Language teacher used to tell us during my GCE prep class days in 1997, 'common sense which is not common'. Enough of the digression, now to the matter. Don Jazzy needs to be reminded that sympathy does not work all the time. The recent saga with Wande Coal has just shown that being called a Don does not mean you are really a Don. Dons don't make noise on twitter. He was your artiste for 10 good years, haba, habatically, why disgrace yourself on social media before millions of Nigerian youths who accord you respect? I wonder if this is the kind of ambassador MTN wants for their already battered brand, in terms of network services they render to their customers. Now, Wande Coal has clinched a major deal for himself hours after Don Jazzy announced his exit from Mavin Records. I wish to go into details of what I know about this deal, but for now, I will keep a sealed lip as I promised my source. 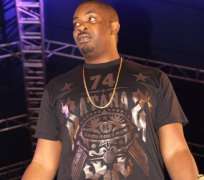 But after D'Banj and Wande Coal, who is next in line to leave Don Jazzy?